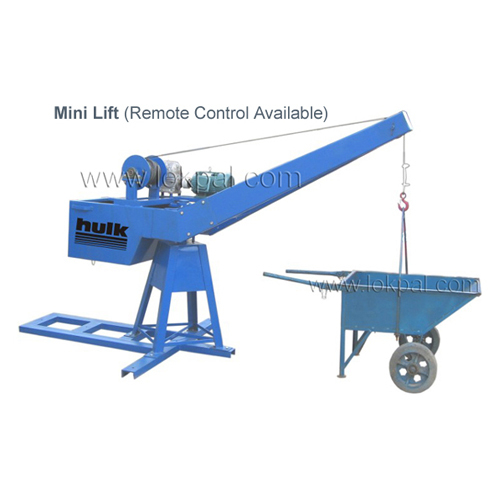 The multifunctional building hoist can be used for transporting men and materiel. 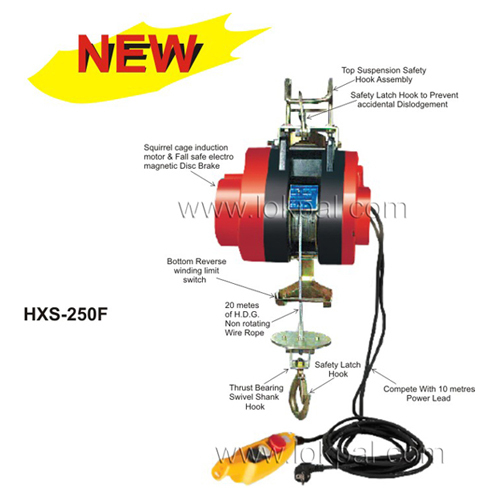 It is much more efficient and safe compared to the conventional wire rope windlass systems in use, Our hoists use Rack and Pinions for lifting which is very safe, Compared to wire rope types and other conventional methods. The rack and pinions are made from special alloy steels and are heat treated for strength and wear resistance. Mast Section "Ø60 x 4.5 thick 450mm x 450mm x 1508mm" "Ø76 x 4.5 thick 650mm x 650mm x 1508mm"
Portable Hoister is Convenient Light weight 3 piece design can be easily dismantled and carried from floor to floor. For use in small construction sites. Easy to move floor to floor. Very Portable and light weight. 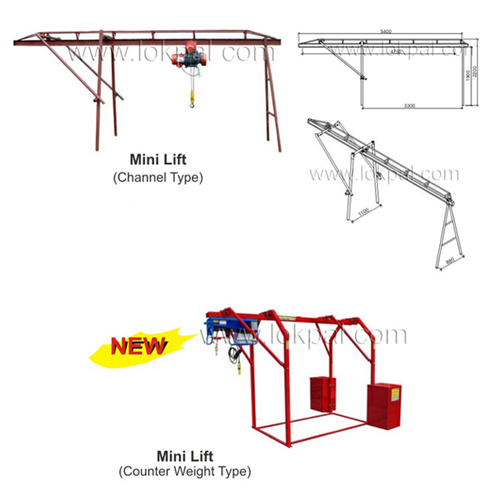 Mini Lift is Convenient Light weight 4 piece design can be easily dismantled and carried from floor to floor. 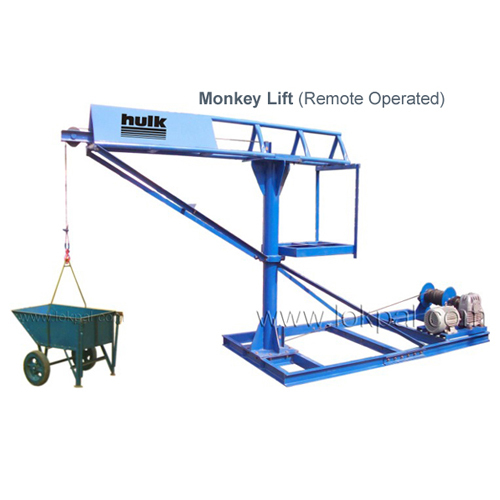 Monkey Lift is intended for industrial use. 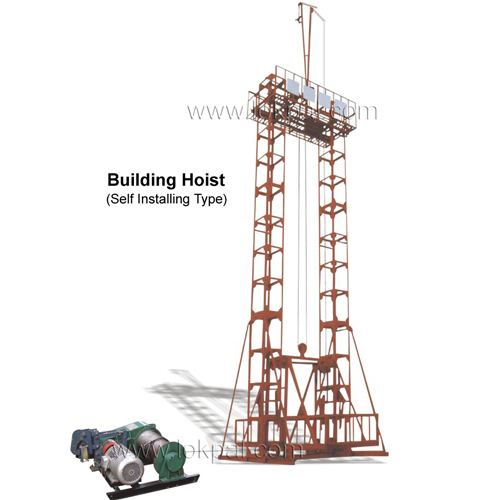 Building Hoist is intended for industrial use. 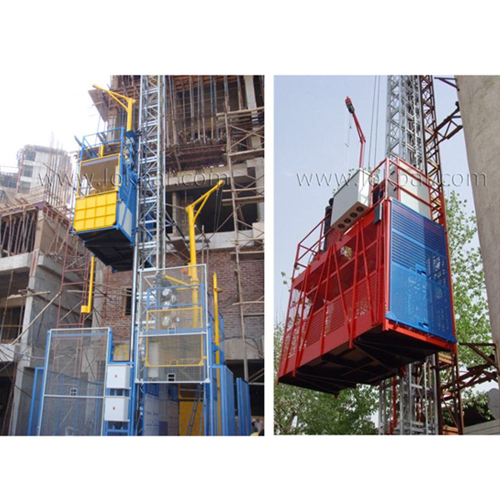 Lifts is intended for industrial use. 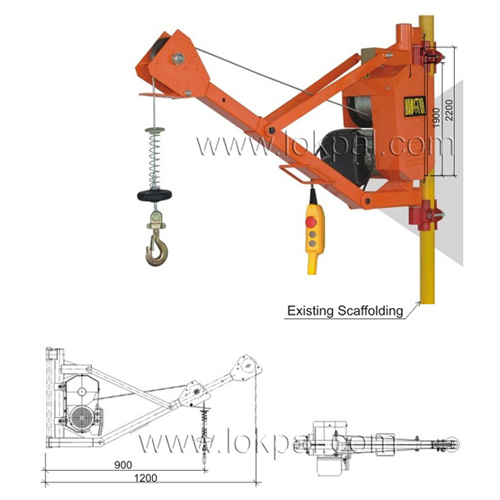 Scaffolding Hoist is intended for industrial use. 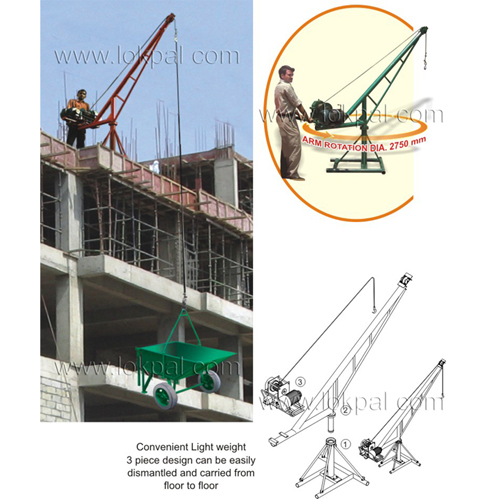 Scaffolding Arm Hoist is intended for industrial use.